Jacob Nelson is an assistant professor of digital audience engagement. He uses qualitative and quantitative methods to study the changing relationship between journalists and their audiences. His research has been published in academic journals including Journalism & Mass Communication Quarterly, Digital Journalism, and Journalism Practice, as well as in trade presses like Columbia Journalism Review, MediaShift, and Digital Content Next. In 2017, he was named a Knight News Innovation Fellow by Columbia Journalism School’s Tow Center for Digital Journalism. 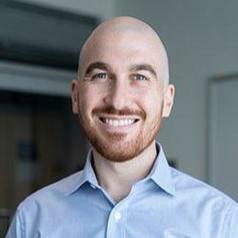 Nelson earned from Northwestern University’s Media, Technology, and Society program in May 2018. His dissertation explores how three different news organizations define, pursue, and measure “audience engagement,” a term portrayed by many within journalism as the answer to the industry’s ails. Before graduate school, Nelson was as an editor for Patch, a hyperlocal, online newspaper. He covered Highland Park, a small suburb north of Chicago.